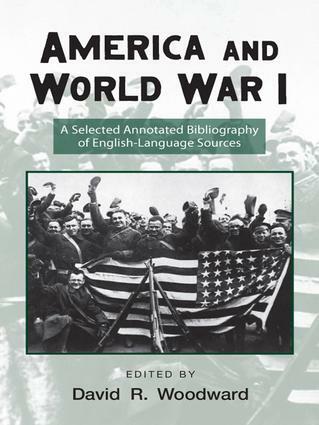 America and World War I, the first volume in the new Routledge Research Guides to American Military Studies series, provides a concise, annotated guide to the vast amount of resources available on the Great War. With over 2,000 entries selected from a wide variety of publications, manuscript collections, databases, and online resources, this volume will be an invaluable research tool for students, scholars, and military history buffs alike. The wide range of topics covered include war films and literature, to civil-military relations, to women and war. Routledge Research Guides to American Military Studies will include concise, easy-to-use bibliographic volumes on different American military campaigns throughout history, as well as tackling timely subjects such as women in the military and terrorism.